Episode 111: What is an Inbound Operating System? Being an inbound organization is more than just creating an inbound culture or an MSPOT or a mission. Day in and day out the operation of the organization requires everyone to be working toward common, inbound goals. An inbound operating system maintains accountability and keeps everyone on the same page, so that day to day operations stay inbound. [0:43] Question: What is an Inbound Operating System? 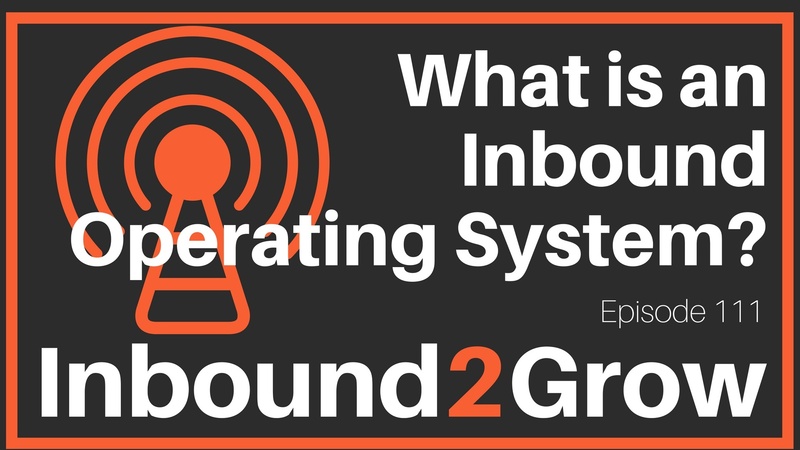 So, what exactly is an inbound operating system? Well, no two inbound operating systems will be exactly alike because an inbound operating system is the combination of systems, programs, and tools your organization uses every day. Not every tool or system will be ideal for every company, but the combination of tools and systems you use (whatever they may be) make up your inbound operating system. Regardless of the specific tools, programs, and systems, the goal of an inbound operating system is to enable your organization to follow through on your MSPOT. An MSPOT is a powerful tool for defining your goals, but it can’t just sit there and only be referred to once a quarter. Hitting your goals is a process with a lot of moving parts, and the meetings, wikis, software, and programs you use to track and organize those parts are your inbound operating system. Your MSPOT guides what you are doing as an organization, but your inbound operating system guides the how of implementation and defines how work actually gets done. Your mission is your why. Your culture is the environment in which you follow through on your why. Your MSPOT defines what you are specifically going to do. Your inbound operating system is how you do it. Inbound leaders need to hold teams accountable. An inbound operating system keeps everyone on track and allows leaders to hold teams accountable. Don’t hold meetings just to hold them! Meetings should serve a purpose, and if they don’t, they are just a waste of time. From now until the end of August we are holding an MSPOT contest! You can already download the MSPOT template and submit it for review, but from now until the end of August anyone who submits an MSPOT will be entered into our contest. We’ll have more details next in Episode 12s show notes (including what you can win), so download and submit your MSPOT soon!